Kin Toffee Vodka is a hand blended premium spirit drink, produced in the heart of the Lake District. 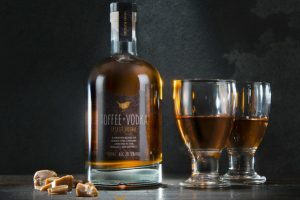 A sublime blend of caramel, vanilla and toffee flavours with British vodka, producing a deliciously rich warming drink. 4 sizes of bottle are available, and a small amount of gift packs plus branded merchandise.